Alfred Hospital is Victoria’s largest state hospital, spanning three sites with a combined capacity of nearly 900 beds. An emphasis on emergency care makes it a vital facility in the state. It also means The Alfred requires world-class, reliable medical product refrigeration in order to protect the thousands of stored biological samples, antibodies and medicines. Director of Engineering Services Mark Curtis has a lot on his plate in ensuring Alfred Hospital’s vital infrastructure services are running to their best. ”I’m charged with monitoring all the statutory maintenance and compliance processes associated with the essential services in our hospital portfolio. This involved ensuring consistent performance from our power, water, and electricity infrastructure, as well as keeping an eye on HVAC [Heating, Ventilation and Air Conditioning] equipment,” he says. Testo’s temperature monitoring equipment offers an easy-to-use solution to monitoring numerous cold storage areas. What are the temperature monitoring challenges to this role? Indoor climate control is a vital part of ensuring biological samples and medicines stay within a safe temperature range. Be that in hospital refrigeration storage or maintaining regular room temperature with heating and air conditioning units, consistency is key. ”Everything from irreplaceable antibodies and vaccines in blast chillers to basic painkillers in storage rooms need our attention. Monitoring the performance of our temperature control equipment across three large facilities is a minute-to-minute challenge,” Mark says. But Mark can’t just rely on occasional temperature checks from people accessing the refrigerated units – he needs a reliable eye on temperature data at all times. 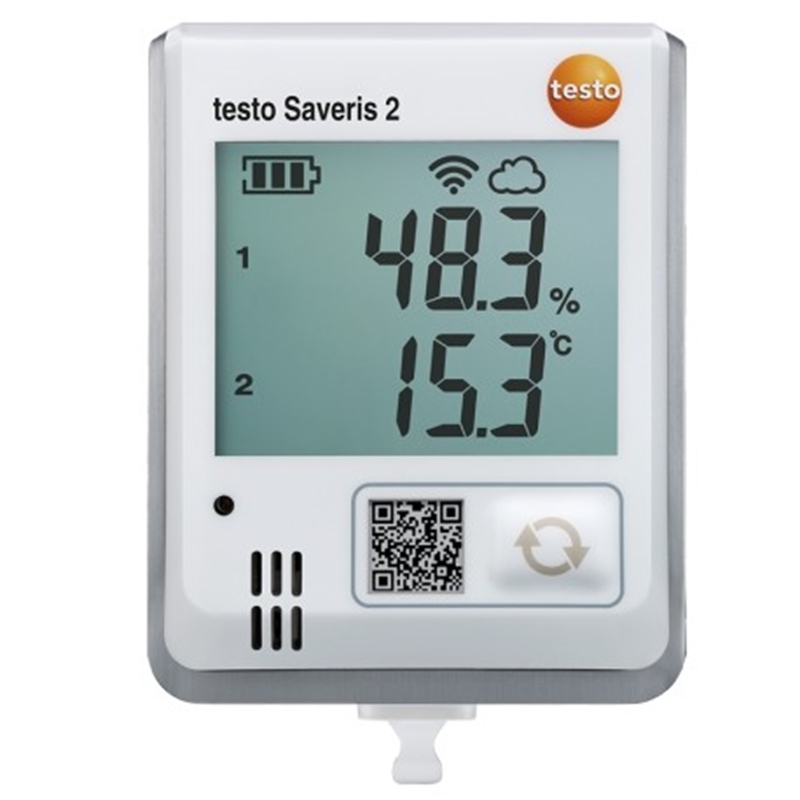 The testo Saveris 2 unit is ideal for temperature data logging. A reliable data logging tool was required in order to successfully manage temperature control across Alfred Hospital’s multiple sites. Testo had the Saveris 2 device to offer. ”Testo had the most sophisticated offering for data logging. We were able to easily pre-set the parameters and receive regular alerts when temperatures fell outside this range, both in our refrigerators room temperature storage,” says Mark. For more information on the testo Saveris 2 or Testo’s other temperature control devices, reach out to the team today. Previous PostHow does the testo Saveris 2 aid dnata Catering’s success? Next PostHow does Testo assist teaching the next generation of HVAC technicians?